Perfect your goaltending technique with speed, positioning drills and rebound control in concise home workouts. 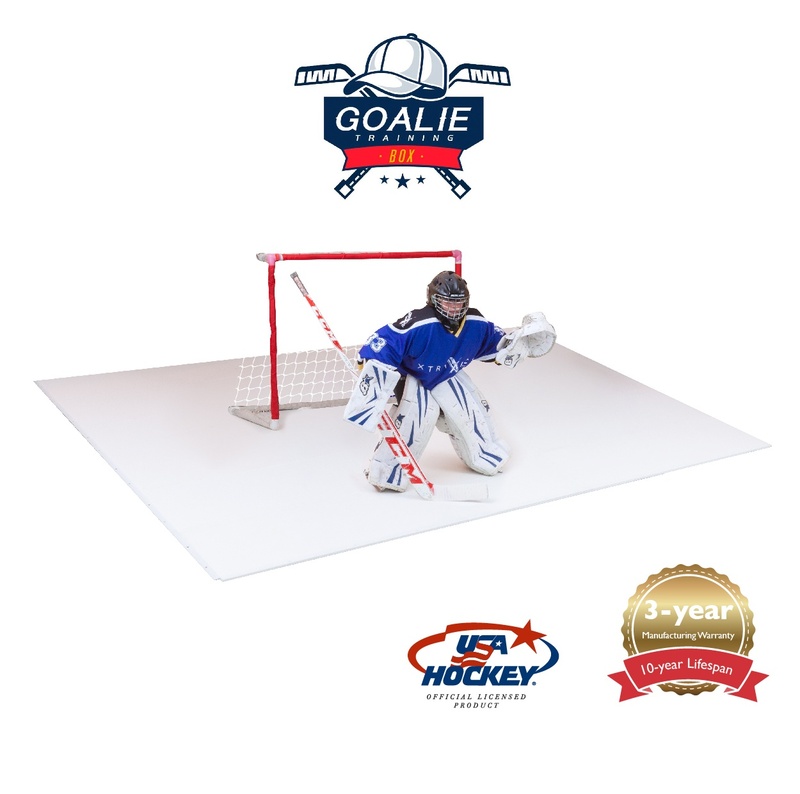 The Goalie Training Box is composed of 12 Xtraice Home Pro panels, comprising an area of 9.5 feet by 11.5 feet. This surface size allows goalies to do a full range of goalie drills from positioning and edgework to speed and mobility drills. Check out our Home Training Series for tips and drills for training at home. Not sure how many panels you need? Check out the ConfigurICER! 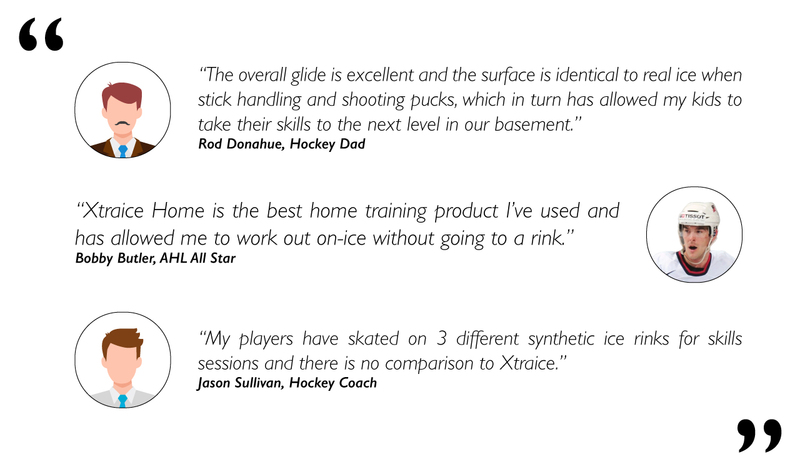 Select your own home training surface! 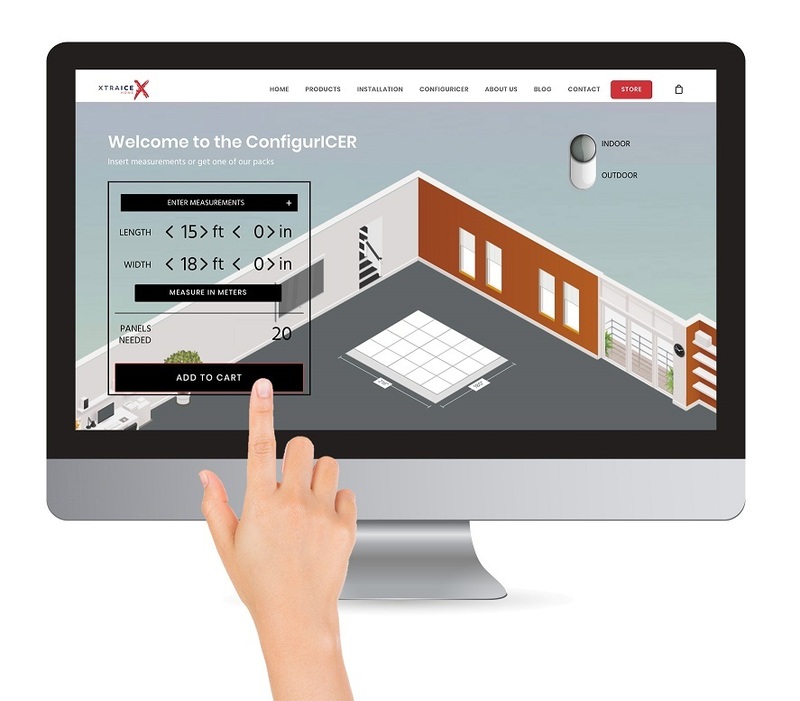 Use the ConfigurICER to create a surface unique to your home.